A TINA.org investigation has catalogued more than 50 instances in which Goop claims, either expressly or implicitly, that its products – or third-party products that it promotes – can treat, cure, prevent, alleviate the symptoms of, or reduce the risk of developing a number of ailments, ranging from depression, anxiety, and insomnia, to infertility, uterine prolapse, and arthritis, just to name a few. The sampling below includes claims made on its website, Goop.com, as well as claims made at the company’s June 2017 “In goop Health” conference held in Los Angeles. TINA.org audited these findings during June of 2018. Any URLs or inappropriate claims that had been taken down as of that time are shown below in gray. #18 Earthing Reduces inflammation, relief from crippling arthritis, reduces chronic pain, improves sleep, speeds healing, reduces stress, improvement in serious long-term, inflammation-related health disorders. #38 Mental Focus – 10 pack* Stimulates productivity; aids in mental clarity, hormone balancing and mood uplifting. 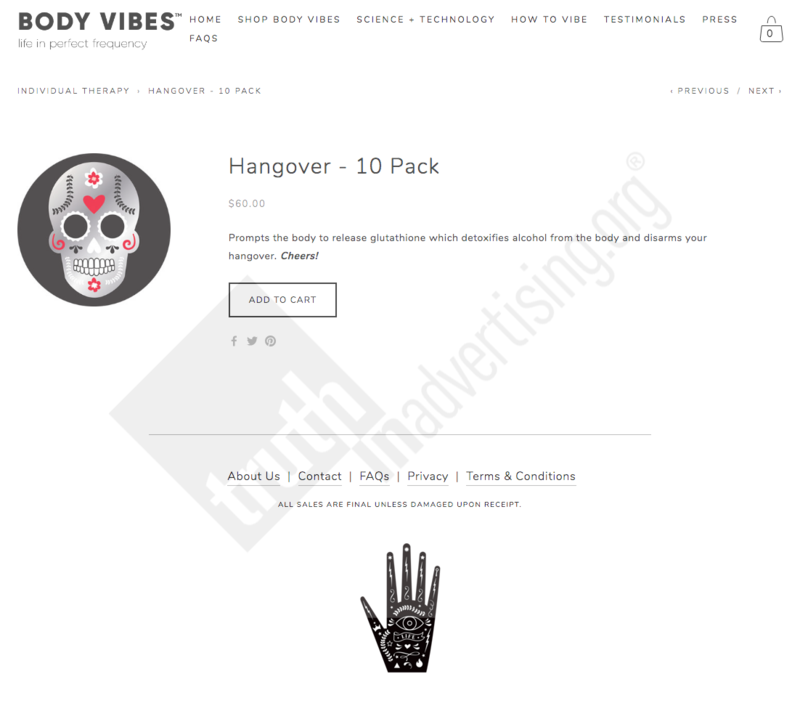 *Body Vibes sticker health claims are made on the Body Vibes website, which Goop directs its readers to while also asserting that the stickers provide a number of health benefits. 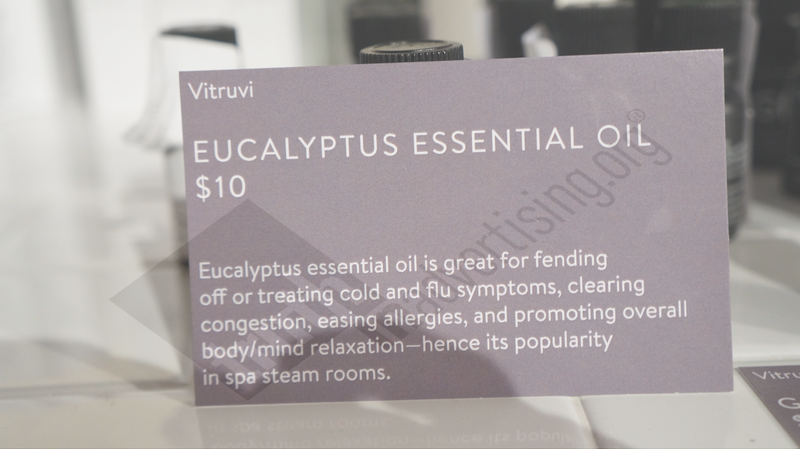 #51 Vitruvi Eucalyptus Essential Oil Fends off/treats cold and flu symptoms, clears congestion, eases allergies.